CBD can also be extracted from some hemp cultivars. Historically, hemp has been bred as an industrial crop in order to produce fabrics, rope, and other textiles from its long stalks.13 Despite not being explicitly defined or mentioned in the CSA, has been considered a controlled substance by the DEA since the passage of the CSA in 1970. On December 20, 2018, The Hemp Farming Act of 2018, S. 2667 (2018 Hemp Bill) became law and formally and definitively removed hemp from the list of controlled substances. The 2018 Hemp Bill redefines hemp as all parts of the Cannabis Sativa plant that do not exceed 0.3% delta-9 THC by dry weight, including “derivatives,” “extracts” and “cannabinoids.”14 Importantly, the 2018 Hemp Bill explicitly removes popular hemp products, including hemp-derived CBD, from the purview of the CSA. Prior to the passage of the 2018 Hemp Bill, domestically cultivated hemp was only federally lawful when cultivated under a state-sanctioned pilot program. In 2017, a total of 23,343 acres of hemp were cultivated across 19 states. As of this writing, 41 states have passed legislation to allow them to take advantage of hemp pilot programs under the 2014 Farm Bill.15 Today, only a minority of the hemp-derived CBD products available in the US are derived from domestically cultivated hemp. This will change as the 2018 Hemp Bill fosters greater investment in this area. To complicate matters further, prior to the approval of Epidiolex, the FDA explicitly stated that “CBD products are excluded from the dietary supplement definition” because of CBD’s status as an Investigational New Drug (IND) under the Food, Drug and Cosmetic Act (FD&C Act).20 CBD is no longer an Investigational New Drug (IND). It is an approved one. As a result, CBD cannot be included in a dietary supplement. This preclusion is not entirely novel. In a somewhat similar case, Biostratum, a pharmaceutical company, requested the FDA take action against manufacturers of pyridoxamine-containing dietary supplements because Biostratum had submitted an IND application for pyridoxamine dihydrochloride.21 It took the FDA three and a half years to formally conclude that these products were in violation of its regulations. Products containing pyridoxamine and being sold as dietary supplements are not currently permitted. There is another precedent which informs predictions of how the FDA might alter its enforcement approach going forward. In April 1997, Pharmanex, a dietary supplement manufacturer was advised by the FDA that its mevinolin-containing dietary supplement, named Cholestin, was a drug, not a dietary supplement. Mevinolin, also known as monocalin K, is a constituent of red yeast rice and has been shown to lower elevated cholesterol levels.22 Mevinolin is chemically identical to lovastatin (brand name Mevacor), an FDA-approved drug manufactured by Merck. The FDA concluded that Cholestin was manufactured to contain concentrations of lovastatin that exceeded traditional red yeast rice products, and the product was thus more similar to a drug than any red yeast rice product available OTC.23 While Cholestin is no longer available, many red yeast rice products remain on the market with naturally occurring concentrations of lovastatin. In the Cholestin case, the FDA’s argument hinged on the concentration of lovastatin in red yeast rice products exceeding some traditional standard. The vast majority of hemp-derived CBD oil products available today contain concentrations by weight of CBD below 5%, as compared to Epidiolex, which is ≥ 99% CBD.24 Given this precedent, it is possible, and perhaps even likely, that the FDA will restrict products that are enriched with isolated CBD but not hemp extracts that contain naturally occurring concentrations of CBD. it is possible, and perhaps even likely, that the FDA will restrict products that are enriched with isolated CBD but not hemp extracts that contain naturally occurring concentrations of CBD. 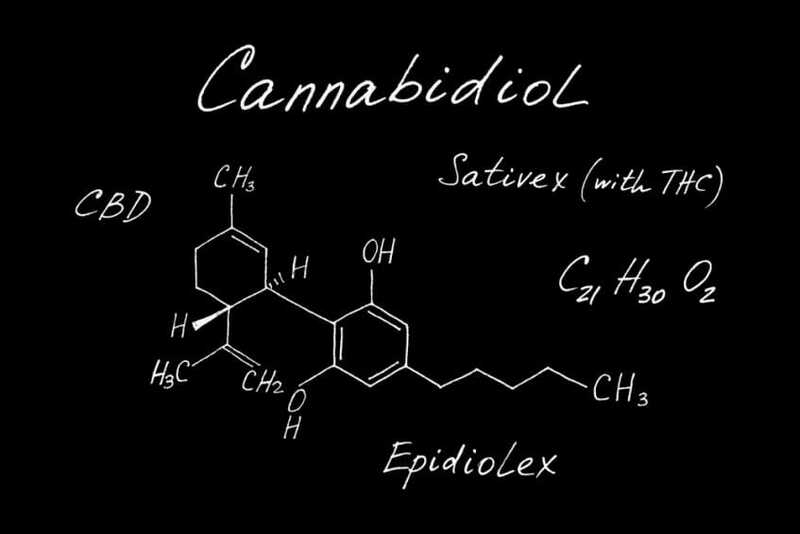 With FDA-approval of Epidiolex, and the FDA’s public proclamation that CBD products are excluded from the statutory definition of a dietary ingredient, the future of online and over-the-counter CBD products is uncertain. The FDA has the authority to enforce the Federal Food, Drug, and Cosmetic Act (FD&C Act) against products which are enriched with CBD. It is worth noting that the FDA is a public health agency with a myriad of competing priorities and a limited enforcement budget. When considering an enforcement action, the FDA weighs multiple factors, including benefits and harms.20 To date, harms associated with hemp-derived CBD products have been largely undocumented. Although the approval of Epidiolex has precipitated the scheduling of drug products containing CBD derived from marijuana with no more than 0.1 percent tetrahydrocannabinols, it is less clear how it will influence the FDA’s enforcement priorities relating to hemp-derived CBD products. Increased enforcement could result in decreased access. On the other hand, passage of the 2018 Hemp Bill could liberate the supply chain and prevent enforcement by creating a de facto legal market for hemp-derived CBD products that is separate and distinct from the medical market for Epidiolex. Or, perhaps products with low concentrations of CBD will remain below FDA enforcement priorities, as in the case of red yeast rice. 1. Press Announcements – FDA approves first drug comprised of an active ingredient derived from marijuana to treat rare, severe forms of epilepsy [press release]. Office of the Commissioner 2018. 4. Adams R, Hunt M, Clark JH. Structure of Cannabidiol, a Product Isolated from the Marijuana Extract of Minnesota Wild Hemp. I. Journal of the American Chemical Society. 1940;62(1):196-200. 14. McConnell M. Text – S.2667 – 115th Congress (2017-2018): Hemp Farming Act of 2018. In:2018. 15. The Hemp Farming Act of 2018 | Vote Hemp [press release]. @votehemp, 2017-10-31 2017. 16. Hemp Industries Association, et al, v. Drug Enforcement Administration, 333 F.3d 1082. In: Circuit t, ed. 9th Circuit 2003. 17. Hemp Industries Association, et al, v. Drug Enforcement Administration, 357 F.3d 1012 In: Circuit t, ed. 9th Circuit 2004. 18. Final Ruling, Hemp Industries Association v. DEA, 357 F.3d 1012. In: Circuit t, ed2004. 19. Legislatures NCoS. State Medical Marijuana Laws. 2018; http://www.ncsl.org/research/health/state-medicalmarijuana-laws.aspx. 20. Commissioner Oot. Public Health Focus – FDA and Marijuana: Questions and Answers. [WebContent]. 2018; https://www.fda.gov/NewsEvents/PublicHealthFocus/ucm421168.htm. 21. FDA. FDA Response to Biostratum Citizen Petition, No. FDA-2005-P-0259-0005 In: FDA, ed: FDA; January 12, 2009. 22. Burke FM. Red yeast rice for the treatment of dyslipidemia. Current atherosclerosis reports. 2015;17(4):495. 23. Register F. Administrative Proceeding; Re: Pharmanex, Inc. In: Food and Drug Administration H, ed. Vol Vol. 63. Federal Register Federal Register Tuesday, January 13, 1998. 24. CBD & Hemp Supplement Reviews | ConsumerLab.com. 2018; https://www.consumerlab.com/reviews/cbd-oil-hemp-review/cbd-oil. 25. Bonn-Miller MO, Loflin MJE, Thomas BF, Marcu JP, Hyke T, Vandrey R. Labeling Accuracy of Cannabidiol Extracts Sold Online. Jama. 2017;318(17):1708-1709. 26. Commissioner Oot. Public Health Focus – Warning Letters and Test Results for Cannabidiol-Related Products. [WebContent]. 2018; https://www.fda.gov/newsevents/publichealthfocus/ucm484109.htm. 27. Commissioner Oot. Press Announcements – FDA warns companies marketing unproven products, derived from marijuana, that claim to treat or cure cancer. 2018. 28. Corroon JM, Phillips J. A Cross-Sectional Study of Cannabidiol Users. Cannabis and cannabinoid research. 2018.